Now available for streaming and download - the second edition of the OTHERWORLDLY AND GONE 78rpm podcast, featuring an amazing bevy of lost ethnic music from the 20th century, brought back to life by heroic curators and collectors. A full playlist is below. This one includes selections from brand-new releases on Canary Records and Dust-to-Digital, with an intense focus on Greece in the first half and on Africa in the second, with a little Bulgaria, Mexico, Turkey, Morocco and elsewhere in the mix as well. It clocks in at eight minutes past an hour, and if you’re like me you’ll find it to be an edifying and intense 68 minutes. Feel free to follow Otherworldly and Gone on Twitter and on Facebook if you enjoy this one; the first edition is available to stream and download right here as well. Stream or download the podcast on Soundcloud. Stream the podcast on Stitcher. 2. LYDIA MENDOZA – Palida Luna – taken from the Mississippi LP compilation, “I Don’t Feel At Home In This World Anymore"
3. VERA FILIPOVA – Kiradjiche Jabandjiche – available as an “Uncollected Song" on the Canary Records USB thumb drive, which you can order here. 4. SPYROS PERISTERIS – Dertilidiko – from the new Dust-To-Digital 2xCD box, “Greek Rhapsody"
5. SOTIRIA BELLOU/STELLAKIS PERPINIADES – Lady From Peiraias – from a collection of Sotiria Bellou’s recordings called “Apopse Kaneis Bam: Original Rebetika"
6. FIVE GLINIOTES – E Vlaha (A Vlach Girl Washing By The River) - from the new 2013 LP collection, “Five Days Married and Other Laments" on Angry Mom Records. 7. ORKIESTRA MAJKUTA – Wsciekla Polka (Wild Polka) - taken from Canary Records’ excellent LP collection of Eastern European immigrant music, “The Widow’s Joy". 8. 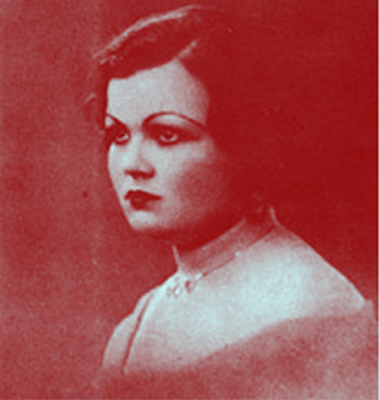 MITA STOICHEVA – Stori Se Horo Golyamo – from a 4xCD box on JSP Records called “Outsinging The Nightingale: Lost Treasures of Bulgarian Music"
9. JACOB HOFFMAN & KENDAL’S ORCHESTRA – Dinoa & Hora – taken from the Mississippi LP compilation, “I Don’t Feel At Home In This World Anymore"
11. MOZMAR CAIRE ORCHESTRA – Raks Baladi Hag Ibahim (Country Dance) - my apologies for the CD’s skips on this song. I obviously have a heretofore-unknown scratch on my “Victrola Favorites" 2xCD collection on Dust-to-Digital. 12. FAHRIYE HANIM – Al Yanakdan Disledim (I Bit Her On Her Red Cheek) - from a brand-new Canary Records LP compilation, “Canaries and Nightingales". 13. MASTER VYAS – Jala-Tarang – from “The Secret Museum of Mankind, Volume 5" CD collection on Yazoo Records. 14. VIRGEM DE MOCAMBIQUE – Nwamakuladzumba – downloaded from the Excavated Shellac blog, May 15th 2013 post. 15. NGOC BAO– Co tu – downloaded from the Ceints de Bakelite blog, July 6th 2013 post. 16. ABDELLAH EL MAGANA – Kassidat el Hakka (The Poem of the Truth) - from the 2013 LP collection of Moroccan 45s, “Kassidat", on Dust-to-Digital.